Over the years, Caprico Biotechnologies Inc. (CBI) has developed fruitful collaborations with biotech industries and academic institutions alike. Located in North Atlanta, Georgia, CBI has had the opportunity to work with the world’s leading research institutions such as Emory University, Georgia Institute of Technology, Medical University of South Carolina, the National Institutes of Health, and the Centers for Disease Control and Prevention (CDC). We are always seeking new ways to expand our network throughout the US and worldwide. For further information of partnering with CBI, please contact us at 678-691-2143 or email us at info@capricobio.com. © 2019, Caprico Biotechnologies, Inc. All rights reserved. Let the CBI Research and Development Team design and develop molecular solutions for identifying your biomarkers of interest according to our strict adherence to cGMP / ISO / GLP standards. CBI produces and conjugates all of its own antibodies. Each antibody is rigorously validated specifically for flow cytometry applications in an ISO9001 / ISO 13485 certified facility. CBI conjugates FITC; PE; PerCP; APC; Biotin; PerCP-Cyanine 5.5; PE- Cyanine 7, APC-Cyanine 7 and a variety of other fluorophores. 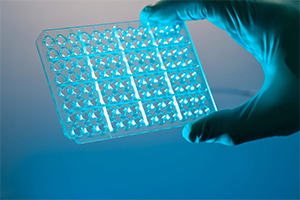 Recently, CBI has partnered with AAT Bioquest®, a producer of fluorescent labeling dyes to offer a unique high-performance solution for immunophenotyping and immunomonitoring. mFluor™ dyes span the full UV-visible spectrum and designed to be maximally excited by one of the major light sources in flow cytometers such as the violet laser at 405 nm or blue laser at 488 nm. Monoclonal antibody design and development is lending researchers the opportunity to create highly specific, customizable mAbs for both RUO and ASR purposes. Start with a free consultation and let us take it to the step of your choosing.